We have discussed various marketing tips that can help your business to increase sales. You can select any of these strategies and devise the marketing plan of your own. Given list of marketing ideas are very effective which helps you to boost sales and engagement of Customer. Check Marketing Ideas for a Karate Business. A karate academy business is quite popular these days owing to the craze to learn fighting or self-defense skills among young boys and girls. It can turn out to be a profitable venture if you have the requisite marketing strategies to promote the business. Here are a few marketing ideas for a karate academy business which help you to increase sales and awareness of the business. Make your academy different from others by offering free items like Karate uniforms, headbands, t-shirts bearing the name of your academy, shoes etc. This will help in attracting more students to your academy as people like to use free items. Your academy should hire talented instructors. 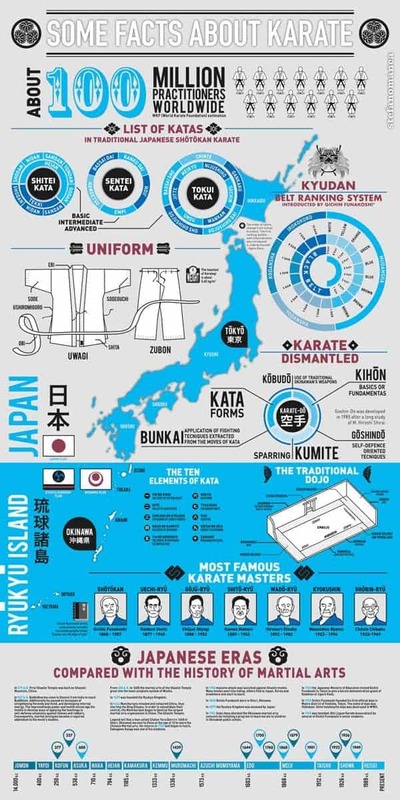 This will help in increasing the brand value of your karate classes. Parents are likely to send their children to an academy that has talented and certified instructors. Such instructors should inspire more people to learn karate. You need to design an attractive business logo that relates to your karate academy. Make it look appealing so that it captures the attention of potential clients. A unique logo will also help in creating your brand identity. Place the logo in all your business cards, fliers, and brochures. Print business cards and brochures that outline the specialty of your karate academy. Mention the type of karate classes you offer, the timings of your classes and the fees charged by you in the brochures. It should also contain your contact details. Distribute the business cards and fliers in strategic locations like schools and colleges so that you are able to reach out to your target audience. Maximize your online marketing efforts by creating a professional website that is dedicated to your business. Hire an expert to design a user-friendly website that suits your business requirements. Customers should be able to gain all the relevant information related to your business from the website. Highlight the achievements of the students of your academy in the website. Offer a virtual tour of your academy to prospective clients by uploading photos on the website. This will help them to get an impression of the facilities available in your academy. Your website should feature an FAQ (Frequently Asked Questions) section where customers can get satisfactory answers to general queries. Utilize social media to promote your academy in the online space. Create a business page in popular social media websites and keep on posting promotional content in them. Social media offers you the scope to interact with your customers on a daily basis. You can reply to the queries of your students if they are facing any problem in your academy through social media. Post videos of your classes in social media to attract new clients. Encourage word of mouth advertising to promote your karate academy. Clients are likely to recommend your academy to their friends, neighbors, and relatives if they are pleased with your services. Reward the referring clients for promoting your business by offering incentives like gifts or free classes for each successful referral. It is a cost-effective way to promote any business. Another important facet of online marketing is Search Engine Optimization (SEO). All you need to do is register the website of your business in popular search engines. Prospective clients should be able to find out your website when they search online with keywords that are related to your karate academy. Make sure that your website features high in the list of the search results. This will help in drawing traffic to your website. Promote your karate academy through the traditional way of advertisements in local newspapers, magazines, TV commercials and radio. Use a tagline in such advertisements that describe the specialty and potential of your business. Put up banners and billboards in your area to create awareness about your academy among the local people. Try to go beyond the expectations of your clients by offering excellent services and facilities to them. It is a fundamental marketing technique for any business. If clients are impressed by your services then they will recommend it to their friends and relatives. Also, charge a reasonable amount as fees from your students. Blogging is a popular online marketing tool. It gives you the space to share your knowledge and expertise in the realm of karate. Provide valuable insights regarding karate to potential clients through blogging. You can be a guest contributor to any popular blog if you do not own one yourself. Mention the link of your blog on the website and social media pages. Consider organizing awareness programs that educate common people about the benefits of learning karate. Karate can be used as a method of self-defense, especially for women if they are attacked by people with evil motives. Such awareness programs can encourage more people to join your academy to master the art of karate. Request your customers to provide their valuable feedback and rate your services by writing reviews on the website and social media pages. Respect the opinion of your clients and ask them if they want to see any changes in your academy. This will help in creating a good impression among customers. Positive reviews will help in bringing new clients to your academy. Try to sponsor local charitable events for making your academy popular among prospective clients. You can donate money or clothes to poor people at such events. It also helps you to connect with the local public and get in their good books. Add a personal touch to your promotions through email marketing. Send personalized promotional offers and newsletters to clients through email. The key to succeed in any business is networking and a karate academy business is no exception. Develop fruitful networks and partnership with other local businesses who are not your direct competitors, ask them to pass on your business card and brochures to their customers in return for a percentage of profit from you.